In my first blog analyzing Fifty Shades of Grey, I related how Ana and Christian sized each other up and Ana realized she was dealing with a control freak while Christian realized he’d found an easy target. And that was just in the first chapter! The next few chapters show rapid boundary violations as Christian just pushes into Ana’s life and starts trying to run it for her. All quotes come from James, E L (2011-05-25). Fifty Shades of Grey (Fifty Shades, Book 1). Knopf Doubleday Publishing Group. Kindle Edition. Upon leaving Christian’s office after their initial meeting, Ana reflects on his nature: “Okay, so he’s very attractive, confident, commanding, at ease with himself— but on the flip side, he’s arrogant , and for all his impeccable manners, he’s autocratic and cold. Well, on the surface. An involuntary shiver runs down my spine. He may be arrogant, but then he has a right to be— accomplished so much at such a young age. He doesn’t suffer fools gladly, but why should he?” (p. 17). Already, Ana realizes he’s screwed up…but she’s making excuses for him. This can’t be a good start! Later she describes Christian to her roommate Kate: “’He’s very driven, controlling, arrogant— scary, but very charismatic. I can understand the fascination,’ I add truthfully, hoping this will shut her up once and for all.” (p. 21). Ana already knows he’s dangerous, but charming. Many victims of sociopaths recognize this dual nature of the predator, but find themselves getting sucked in anyway. And that’s exactly what is going to happen to Ana. She spends the next few days remembering their visit until he shows up at her workplace despite her never having told him where she worked. In fact, when one of her male friends shows up at the same time, he becomes jealous and angry as though he has a claim to her. “When I glance up at Christian Grey, he’s watching us like a hawk, his eyes hooded and speculative, his mouth a hard, impassive line. He’s changed from the weirdly attentive customer to someone else— someone cold and distant. ‘Paul, I’m with a customer. Someone you should meet,’ I say, trying to defuse the antagonism I see in Grey’s expression. I drag Paul over to meet him, and they size each other up. The atmosphere is suddenly arctic.” (p. 30). 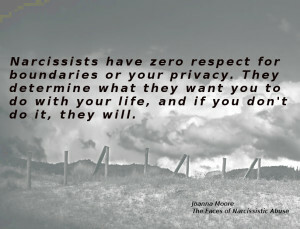 Predators such as narcissists and sociopaths respect no boundaries. Christian’s boundary violations are so strong that he stalks Ana to find out where she works and then travels out of his way to show up there, then, despite barely knowing her, he’s mad that she talks to a male friend. RED FLAGS! While Ana is nervous around Christian, her bold friend Kate is not. Kate has far stronger boundaries and Christian realizes that. Kate is not the kind of naive person that he could prey on. When they meet, Kate warns Ana “‘Ana, I think he definitely likes you,’ she says with no preamble whatsoever. José glares at me with disapproval. ‘But I don’t trust him,’ she adds.” Later on the same page, she continues “‘Ana, there’s something about him.’ Her tone is full of warning. ‘He’s gorgeous, I agree, but I think he’s dangerous. Especially for someone like you. '” (p. 39). Many times people with strong boundaries and self-esteem can recognize a predator easily while their softer friends may not. Despite these warnings from Kate, Ana agrees to have coffee with Christian where he acknowledges Ana’s nerves and warns her about himself “‘You seem nervous around men.’ Holy crap, that’s personal. I’m just nervous around you, Grey. ‘I find you intimidating.’ I flush scarlet, but mentally pat myself on the back for my candor, and gaze at my hands again. I hear his sharp intake of breath. ‘You should find me intimidating.’” (p. 43). He continues to prompt her to talk about herself, but when she asks about him, she gets coldness “His eyes cloud with irritation. He doesn’t want to talk about his family or himself”(p. 46). This is normal with a predator. They want to know about their potential victims/targets so they can get information to use against the victim, but they don’t want to reveal much of anything about themselves. They are so used to preying on others, that they automatically assume others will do the same to them. 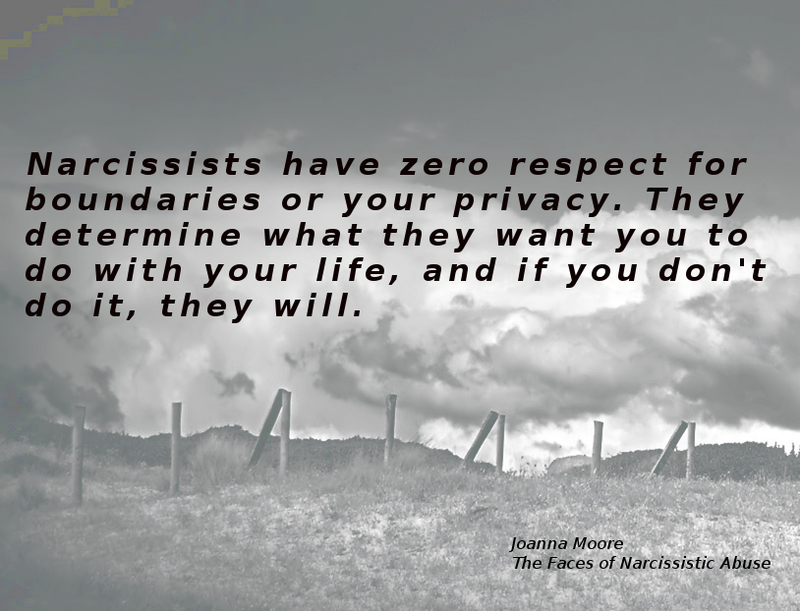 Sociopaths can be very guarded about their real lives. By the end of their coffee date, Christian warns Ana “‘Anastasia, you should steer clear of me. I’m not the man for you,’ he whispers.” (p. 49). She ends the “date” and cries when she is alone because she is charmed, yet knows that he is not emotionally healthy for her. It’s not unusual for targets to find themselves confused about whether or not they should date or stay with a predator. The predator will reveal negative truths, but rebound with charm and charisma that pulls the victim back in despite their better judgement. Ana is not unusual. This scene begins chapter four of the book. More to come….